Tyrants’ arms are too short to reach the objects of their desires … You lengthened their arms. But weren’t swords long enough already? There is an area of Istanbul that I'm a big fan of. It is in Karaköy between the Ottoman Bank (now the Salt Library) and Haliç. If you take a stroll in that district, you will find a selection of old hans, built of peach brick and clumsily restored with concrete. It is the bazaar of the building trade. From the crumbling hans, thickset men flog bags of concrete, wire, chain, tools and strange, slightly threatening machines. As I wander around or sit in one of the little lokantas, I mentally paint in plumes of steam, the grind of gears and leering gunslingers and boom, I'm in my own steampunk daydream. 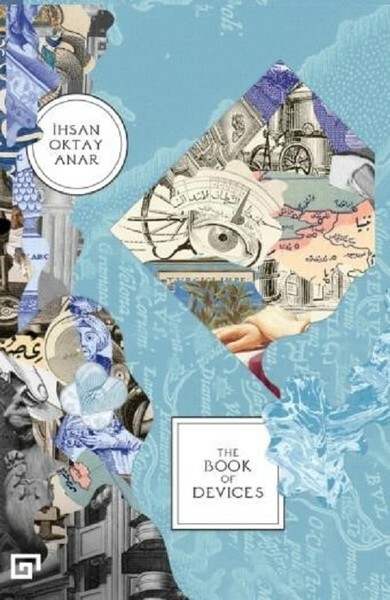 In other words, it is a great place to read İhsan Oktay Anar’s The Book of Devices. Set in the early 1800s in Ottoman Istanbul, the book follows three generations of device makers living on Galata Hill, the sneaky genius Yafes Chelebi, the abusive Black Calud and timid Üzeyir Bey as they try to unlock the secret of perpetual motion, build terrifying war machines, avoid getting cut up by janissary thugs and, ideally, make a fat pile of gold. The story is narrated from the perspective of a historian retelling the lives of the characters according to the accounts of the coffee shop story tellers and legend-makers. Therefore, large amounts of the book contains sentences like “Pretty boy Halil Chelebi, father-in-law of Wildbeard Izzet Effedi’s son relates on the authority of Besir Bey the addict, son of Flatfoot, that…” This has a couple of different effects on the book. Firstly, it makes the prose really unique to read. Secondly, the world constructed in a very slight novella feel big and populated by characters, a lot of whom feel very characterised just by their names. My personal favourite of the gossip-mongers are Numan Bey the fair copyist and Saban Bey the foul copyist. Thirdly, it means that the voice of the narrator is jumbled up with the ‘sources’ that he is citing. This has the knock-on effect of making the narrator very unreliable. The story needs the multiple narrators, some of whom contradict each other, to create a hearsay-heightened reality where a man can make a living robbing magpies, alchemic powders burn water and mechanical war snakes are possible. The whole book, though basically being fantasy, is interspersed with enough real history to suspend disbelief. For example, the characters get caught up with Alemdar Mustafa Pasha’s attempt to abolish the janissary corps, events in which the real history is strange and bloody in equal measures. Or right at the start of the book where it talks about Yafes forging Damascus steel in Tophane, a historically accurate nugget. Though of course Yafes then goes on to create a monstrous scissor sword that causes the sheik of the sword smiths to have a stroke, at least according to Mad Bekir of Hacikadin. Other historians tell other stories. The other thing that contributes to the story’s sense of heightened reality are the illustrations. Embedded in the text are each of the devices made by the three mad inventors, depicted in multiple studies, purporting to explain how they worked.. All the parts of the various devices they make have been drawn and annotated in incredible detail. In fact, in an Istanbul bookshop, it was the drawings that made me pick The Book of Devices up in the first place. 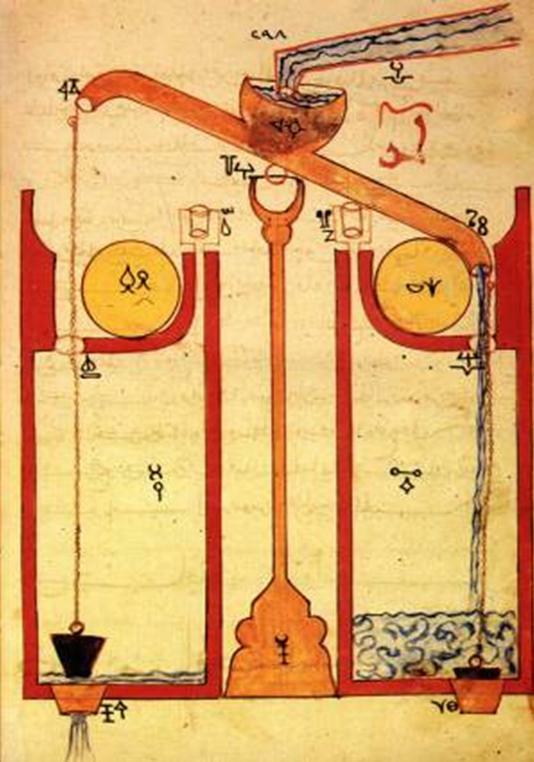 They reminded me of the illustrations found in earlier islamic science texts like Ibn al-Razzaz al-Jazari’s 1206 The Book of Ingenious Mechanical Devices. A naming similarity that can’t be coincidental. The story keeps up its unique narrative structure throughout. The events range from the surreal, the hilarious, to the dark. The book it reminds me of is The Fatal Eggs by Mikhail Bulgakov, which also used dark and humorous sci-fi to great effect. However, the big difference was that Bulgakov used the distancing effect of genre to produce satire that I didn’t find to be as present in The Book of Devices. In fact, quite what the latter is trying to say to the reader is far from clear. The Book of Devices is a brief novella, which I think is to its benefit. The unusual narrative delivery and the confusing story could wear out a reader in a much longer form. But it is certainly a story I will reread in the near future. All the little details are the kind of thing I can see myself enjoying on a second run through. That being sad, I don’t feel I understand this book completely. It feels like there is a level of metaphor that I’m not complexity getting at this point. I would like to go over it again with my history books and pull it apart for all the little references. If I dive into the little cogs and gears of this story, I myself might find the key to this book and grasp it’s greater mysteries.